When it comes to manufacturing technologies, it can be tempting to want to find one perfect solution that works for every situation. In practice, however, choosing the right technology for a given project is dependent upon the project’s particular demands. In the cases of injection molding and 3D printing, both offer unique strengths. Rather than one being superior to the other, their differences actually compliment each other and can be used in conjunction during the development and manufacturing of the same project. Injection molding is one of the oldest industrial technologies for high-volume plastic manufacturing, and there’s a reason it’s been at the top for so long. It produces high-quality parts with tight tolerances and offers excellent value for larger quantities of units. At the same time, injection molding requires molds which can cost thousands of dollars and take weeks or even months to produce. Once the molds are produced, individual parts cost very little to manufacture. As a result, injection molding is very cost-effective above certain volumes of parts but can be prohibitively expensive for smaller runs. Compared to injection molding, 3D printing is a much younger technology which was initially used chiefly for prototyping and product development. With modern advances, it has become an excellent option for many full-scale manufacturing projects as well. Unlike injection molding, 3D printing does not require any tooling or additional setup costs. Because of this, it is substantially faster and less expensive than injection molding for small to medium volumes of parts. Furthermore, 3D printing is able to produce complex geometries, internal features and organic shapes in a way that would be impossible to achieve with injection molding. When is 3D Printing Cheaper than Injection Molding? When it comes to assessing whether 3D printing or injection molding is a better fit for a given project, the biggest factor is often the number of units being produced. The exact tipping point for cost per unit depends on the part itself, but typically, orders of smaller than 1,000 to 2,000 units will be cheaper to 3D print, while orders larger than 2,000 units will be more well-suited to injection molding. Although injection molding is quite time-consuming and expensive to get started, it is very cheap once it is up and running. As production quantity increases, the initial setup costs are distributed across more units, leading to an lower cost per unit. With 3D printing, on the other hand, the cost per unit is constant no matter how many units are made. As the number of units increases, the cost per unit of injection molding will eventually become lower than the cost per unit of 3D printing. Fortunately for manufacturers everywhere, we don’t have to choose sides but can take advantage of the complementary nature of the two even within a single product cycle. Since injection molding requires expensive tooling that cannot be modified after the fact, it is not well-suited to product development and iterative prototyping. Instead, 3D printing offers excellent value and unmatched speed for rapid prototyping. Printing a new prototype is as easy as changing a digital model, and modern 3D printers like the HP Multi Jet Fusion can imitate the mechanical strength, finish quality and tight tolerances of injection molded parts. 3D printing can even be used to create patterns and tooling for urethane casting as a fast alternative to injection molding for prototyping or medium-sized production runs. When it comes to evaluating whether 3D printing or injection molding is right for your project, the main consideration is the volume of parts you’re looking to produce. Simply put, 3D printing offers better value for small to medium runs, while injection molding is most cost effective for larger runs. Additional considerations like the complexity or customizability of your design can tip the balance further in favor of 3D printing. More than anything, however, it's important to realize that there may be room for both technologies in any given supply chain. By playing into the strengths of each technology, manufacturers can get the best of both worlds and maximize their competitive advantages. At RapidMade in Portland, OR, we work hard to find the best technologies for our clients’ unique needs for custom product development and full-scale manufacturing. Our manufacturing and engineering services include 3D printing, injection molding, urethane casting, vacuum thermoforming and more. Click here to learn more about our services and get started on your custom manufacturing solution today. If you’re reading this, you probably already know that RapidMade’s website has many informative resources on our custom manufacturing, engineering, and interactive marketing services. But did you also know that RapidMade has local sales representatives who assist our customers across the country? Our sales reps are ready to help your business start taking advantage of our rapid manufacturing solutions with dedicated local relationships. Now, we’re pleased to announce that we’re expanding our local services to the Midwest with the addition of our newest sales representative, Daniel Diekmann. Daniel will be available for customers in Indiana, Illinois, Missouri, Iowa, Tennessee and Kentucky. If you live in the Midwest and would like to talk to Daniel about working with RapidMade, give him a call at 503-751-2131 or email him at daniel@matterformgroup.com. You can see information for all of our sales representatives by clicking here. Whether you are looking for 3D printing, thermoforming, machining or other services, RapidMade can help your business get the most from its products by providing faster manufacturing solutions at less cost. To get started with your project, get a custom quote in 24 hours or less with our easy-to-use quote tool. Starting a new business presents many unique challenges. When it comes to product development and manufacturing, small businesses especially can face difficult restraints in time, budget, and scale. In these situations, 3D printing can offer an excellent opportunity to save time and expense over traditional technologies. We recently published a case study about our work with Hoyt St Electric Skateboards, a Portland-based company that produces high-quality electric skateboards. As the Hoyt St team was developing their product, they initially sought to produce certain parts for their skateboards using metal stamping. However, they found the process to be prohibitively expensive and time-consuming, in part because of the tooling requirements for metal stamping. Additionally, they likely would have needed to produce these parts offshore, adding additional time to their development process. 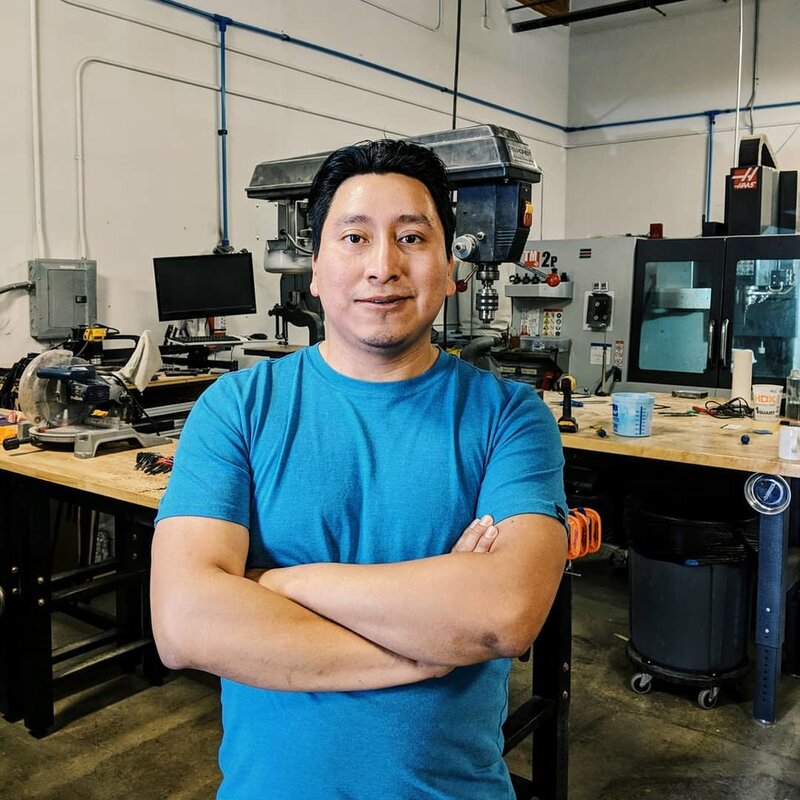 With RapidMade, Hoyt St Electric Skateboards was able to save tens of thousands of dollars and months of development time by using 3D printed plastic parts manufactured with the HP Multi Jet Fusion 3D printer to produce their parts right here in Portland. 3D printed parts require no setup time or tooling and are ideal for quickly and inexpensively iterating designs. We were even able to help them produce designs that would have been impossible with traditional technologies like metal stamping or injection molding. Once the Hoyt St team was ready to start manufacturing, we were able to help them seamlessly transition into full production runs at a scale that made sense for their business. The 3D printed nylon parts produced by the Multi Jet Fusion are durable enough to hold up to the performance demands of Hoyt St’s excellent products. To read more about our work with Hoyt St Electric Skateboards, check out the full case study here. If you’d like to learn about how 3D printing could help your business, send us an email at info@rapidmade.com or give us a call at 503-943-2781. We’d love to hear from you!